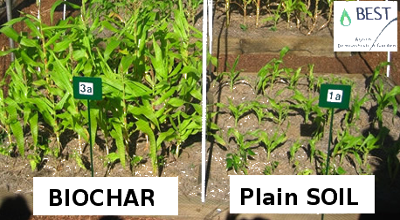 Biochar improves not-so-good soils more than very-good soils. It improves the retention of water and minerals - reducing leaching, algal blooms, toxins, and loss of fertilizer. 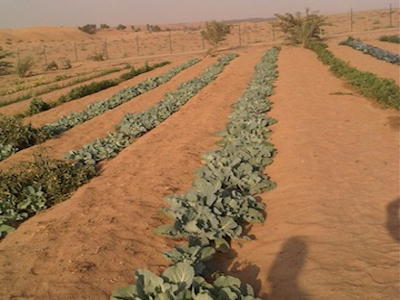 In Sand, biochar retains water and required minerals available at plant's roots, as in drip farming operations growing crops in sand dunes. In Clay, biochar provides structure to allow water to penetrate and remain in such soils, and avoids mineral loss due to runoffs. In all cases, biochar is a coral reef, that also provides space for beneficial microorganisms (bacteria, fungi) improving plant health. 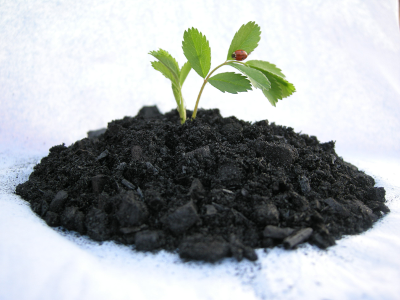 It is best to "pre-load" your biochar before mixing into the soil so that it is offering minerals rather than taking from the soil. Compost and manure are some of the favorites. When composting make sure to separate each layer with layers of biochar so that compost juices do not escape and leach away. Farmers dealing with smelly slurry ponds, or large quantities of manure can use biochar to capture the ammonia (turns into nitrates) the smell disappears. Extra benefits of using biochar in litter of pork and poultry is the much lower number of flies and related diseases.